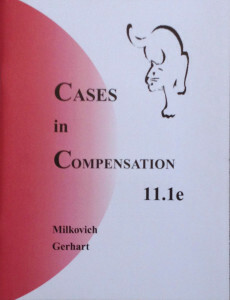 Cases in Compensation contains an integrated case, with three phases that parallel the pay model used in the Compensation textbook. 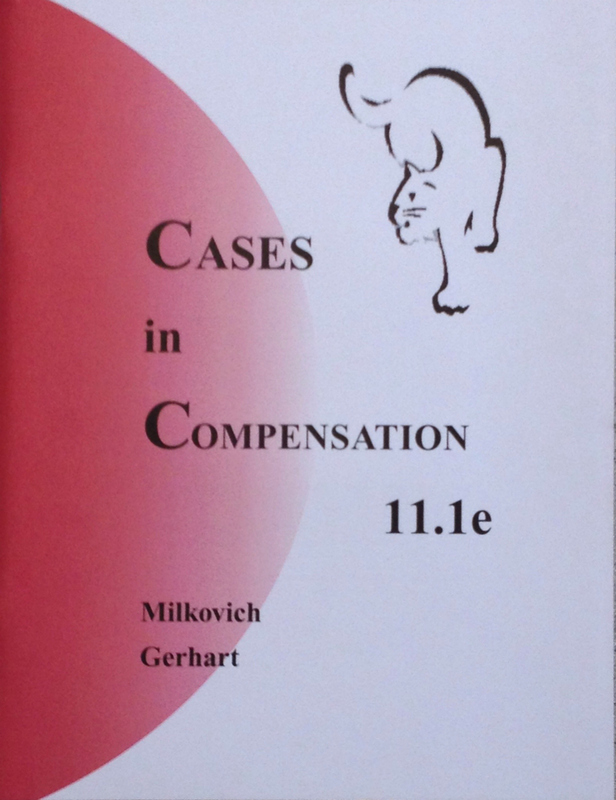 The case is designed to provide students, generally working in teams, the opportunity to address the major decisions in designing a compensation system, thus applying the theories and concepts in the textbook. Students take the role as the first compensation specialist in a small software company. Background information on the company is included in the casebook. In Phase I, students set objectives for the pay system they will be designing throughout the course, and address the issue of Internal Alignment, generally by designing a job evaluation system using the job descriptions in the casebook. This assignment addresses issues discussed in the first 6 chapters of the textbook. Custom-written software (runs on a Microsoft Access platform) accompanies Phase II (External Competitiveness: chapters 7 and 8 in textbook) and Phase III (Employee Contributions). We supply the software, free of charge, directly to instructors who adopt our casebook. The professor then makes the software available to students, either by making sufficient copies of the software or installing it on their school’s computer network. Our website for instructors contains teaching suggestions, suggested grading criteria, class outlines, etc. for use in the classroom by those who adopt Cases in Compensation. Should you decide to adopt the casebook, we send a password for our site, and also give information on downloading the software.